ShockLog 298 uses the most advanced environmental indicator and impact indicator technology to log up to 870 potentially damaging events in 262,000 time slots to protect your high-value assets in the field, in transit, or in storage. 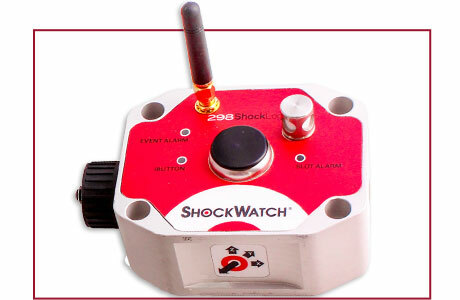 ShockLog 298GPS incorporates Global Positioning System capability to pinpoint where your high-value assets encountered damaging conditions during shipping and handling. These capabilities make the ShockLog 298 GPS an invaluable tool for optimizing your supply chain risk management processes. The ShockLog 298 impact recorder can be configured to record multiple parameters, including impact, vibration, and temperature – plus it works with optional accessories to extend the measurement of key parameters. When the impact sensor detects events that breach thresholds, ShockLog 298 GPS not only records the time and severity of the damaging event but also logs the location of the breach.